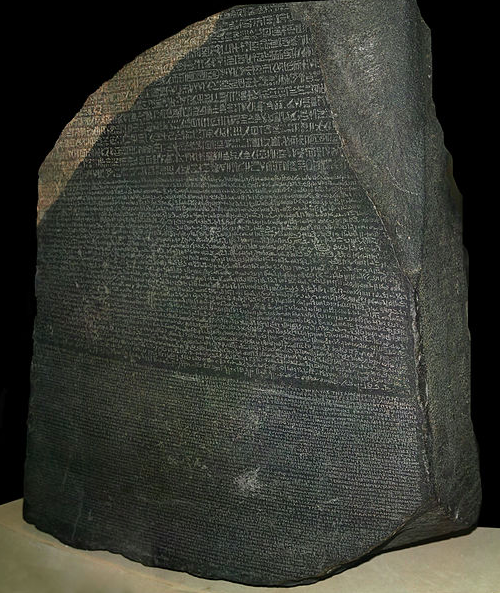 The Rosetta Stone is the first bilingual text of Ancient Egypt that was discovered in modern times. It became known that the text on the Rosetta Stone is the same, done in three versions. The demotic text and the hieroglyphic text were used to phonetically spell foreign names and native Egyptian words. One hundred meters high up on the side to Mount Behistun in Iran is the Behistun Rock, which showed ancient texts in three languages. The Behistun Rock inscription, written in three cuneiform scripts, measures about 15 meters high and 25 meters wide. The inscription, all of the same content, were written in Old Persian, Elamite (Susian) and Babylonian text, graphically illustrated by life-size bas-relief king who was credited with its creation, Darius I, The Great. The text is a warning for people who rebel against King Darius and the punishment they would receive if they disobeyed. 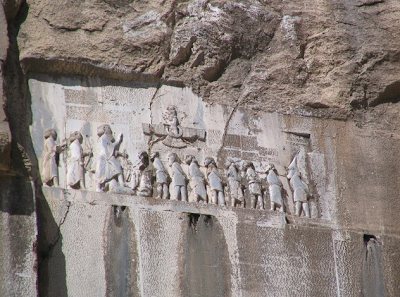 Italian Pietro della Valle discovered the first part of the inscriptions, written in Old Persian. Army officer Henry C. Rawlinson of the British East India Company later deciphered it in 1846. His work on the ancient Persian text led to the transcribing of the other two languages and the development of Assyriology. Considered among the greatest archeological finds are the Dead Sea Scrolls. The nearly 1,000 documents were discovered in 11 caves around Wadi Qumran in the West Bank, near the Dead Sea between 1947 and 1979. These are considered as the only surviving copies of documents related to the Hebrew Bible that were written before 100 A.D. The scrolls, inscribed on parchment, papyrus and bronze, were written in Aramaic, Greek, Nabataean and Hebrew. Forty percent of the identified scrolls contain biblical text while the rest of the manuscripts are divided into two. One includes psalms and documents about notable figures not included in the Hebrew Bible. The second are rules and beliefs practiced by greater Judaism groups. From the enemies of Ahlus-Sunnah are al-mukhaithilah (those who don’t aid the truth and its people), and from al-mukhaithilah are those sick with a hidden desire: the disease of loving fame, leadership, and finding status for oneself. For more interesting information click here.